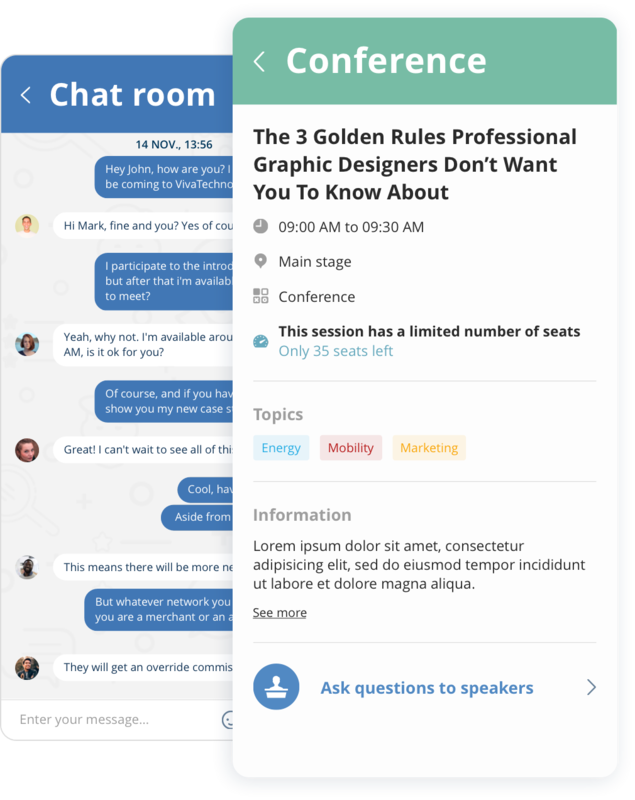 Launch your event platform in less than 30 minutes: a user-friendly interface that attendees love and improves engagement by 85%. Offer the best event experience to your attendees, save time and reduce costs. Make sure attendees meet the right people. Publish your program and keep it up-to-date. Engage your participants during sessions. Display your sponsors and exhibitors, the way you want. Attendees chat and exchange knowledge within conversation groups. 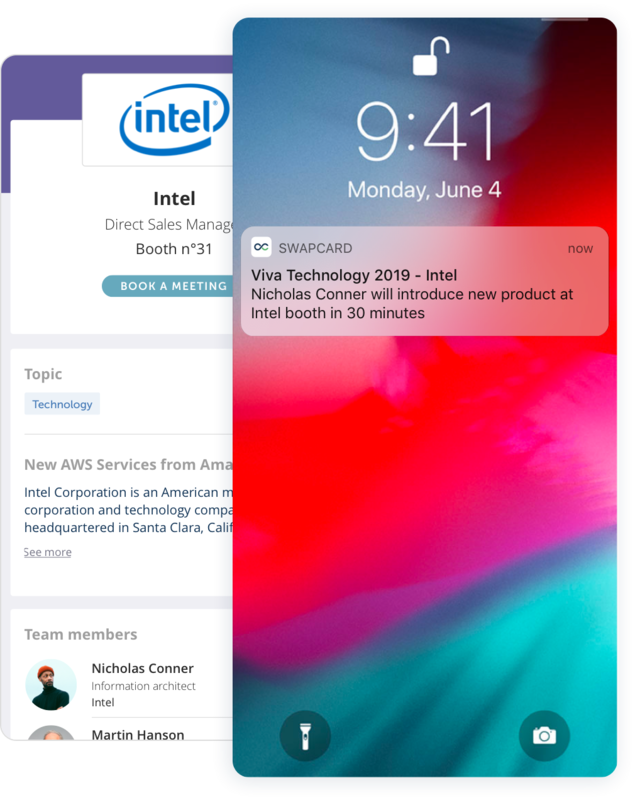 Schedule push notifications, target and inform attendees. Create as many events as you want. Use one platform for your entire event portfolio and boost interactions throughout the year. Each event is unique: select the features you want to use. Edit and add content manually or by bulk import. Customize your events with graphics, colors, icons, menu order and other branded features. 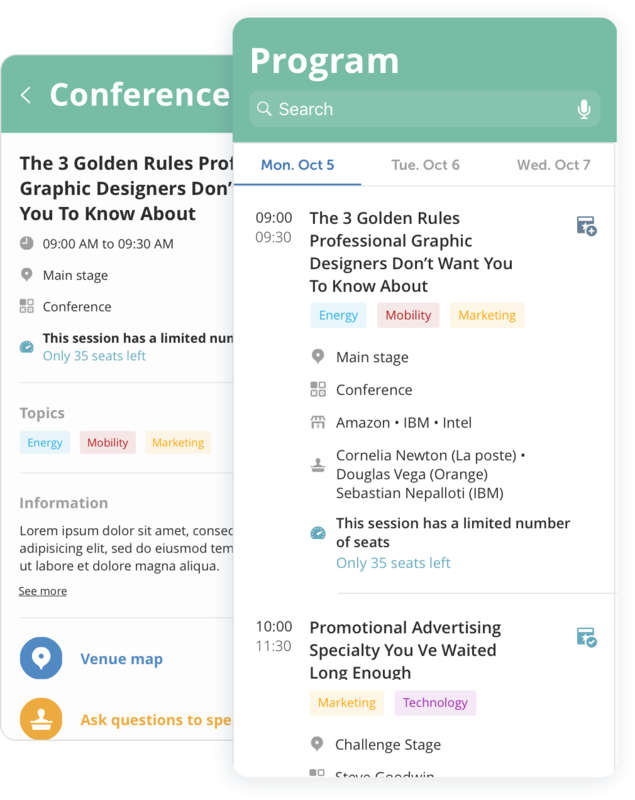 Publish your event in our container app or on your premium white label platform. 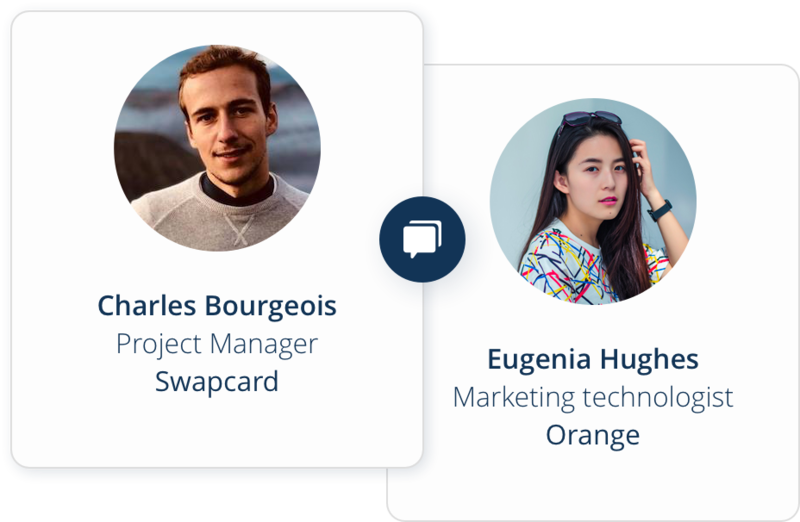 Sync Swapcard with your ticketing solution. Access a library of pre-built integrations or reach out to us to discuss premium integration. Connect attendees with peers, content and knowledge. Networking is a main reason why people participate in an event. Use our matchmaking powered by Artificial Intelligence & a private meeting scheduler to unlock connections. Create, edit and update sessions, import abstracts and display your event program on your website. Manage seat capacity, visibility rules and more. 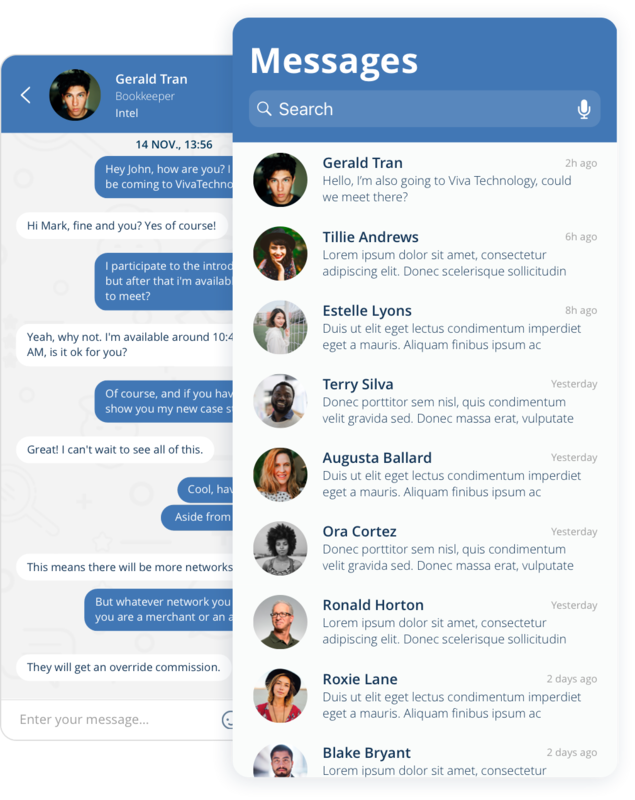 Boost social interactions using a Twitter feed, polls, surveys, Q&A, public forums, chats, program session ratings, social wall and push notifications. Generate new revenues by offering engagement opportunities to your sponsors and exhibitors. List all your sponsors' and exhibitors' company pages, order them and add rich content so attendees can bookmark and engage with them. Offer engagement opportunities that convert with banner adds, a splash page, targeted push notifications and logo placements. 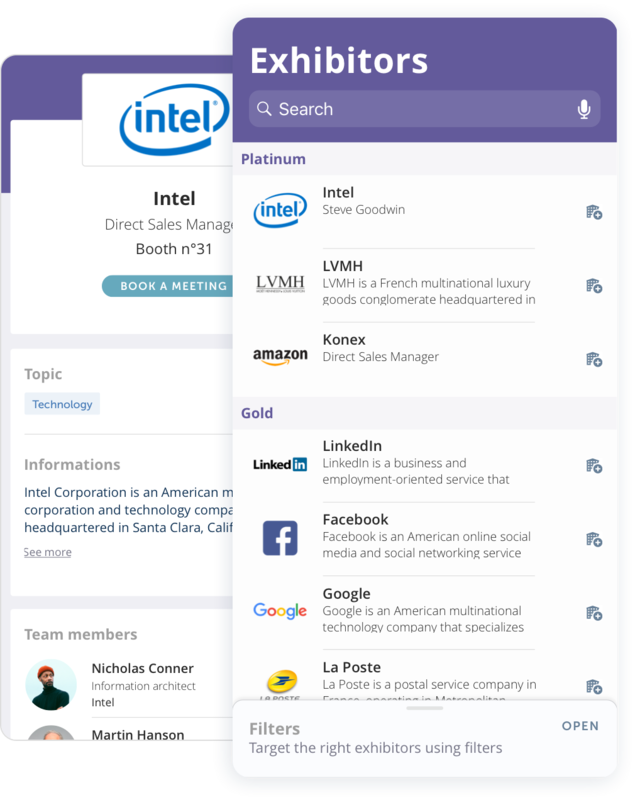 Let exhibitors scan business cards and attendee badges to collect contact details, add notes, contextualize meetings, exports and sync leads with their CRM. 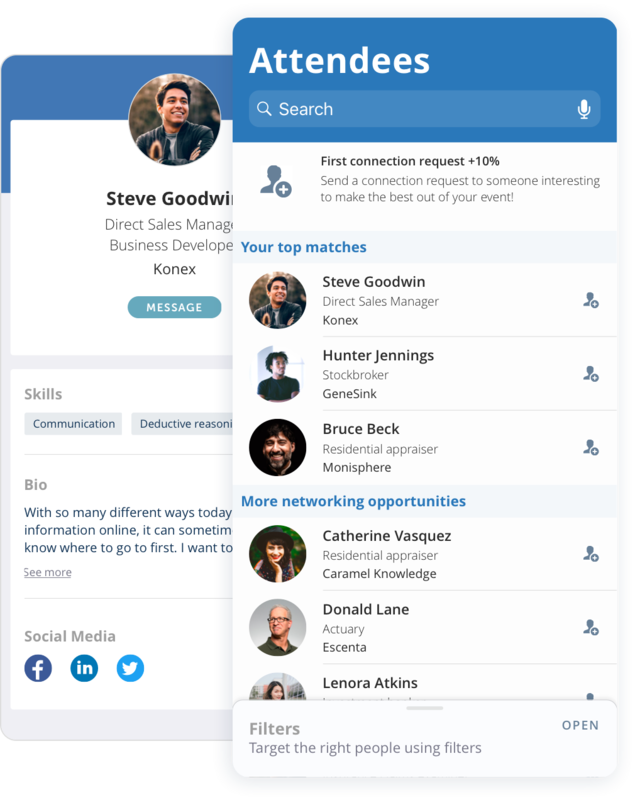 Help exhibitors find the most qualified leads plus schedule and manage meetings on the go with our matchmaking powered by Artificial Intelligence. Instantly update content on your website and save yourself time. Measure attendees’ engagement & exhibitors’ ROI in real time and analyze all data to grow your event in the right direction. 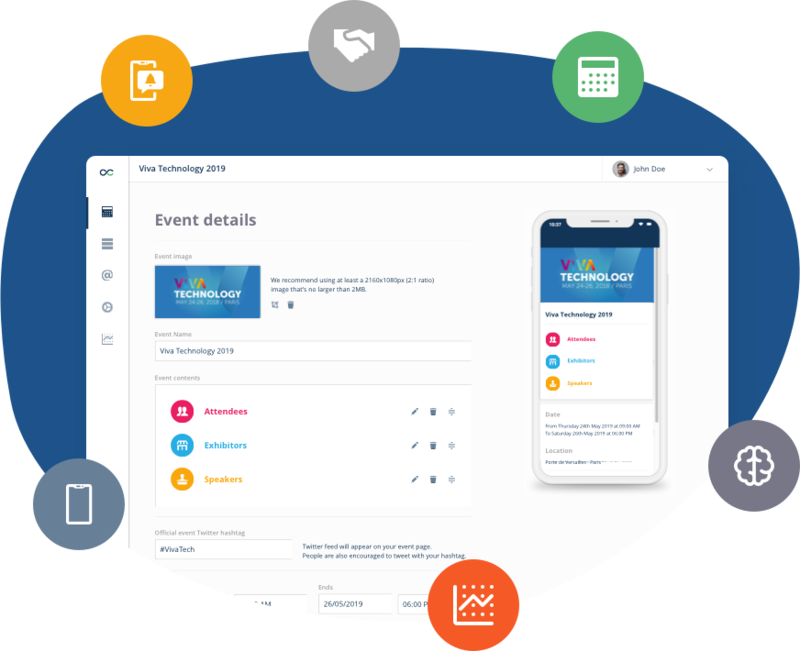 Discover your future event engagement platform and attend one of our upcoming product webinars. Get a free consultation on how to increase engagement at your event and deliver a lasting experience. An expert will be in touch within 24 hours.